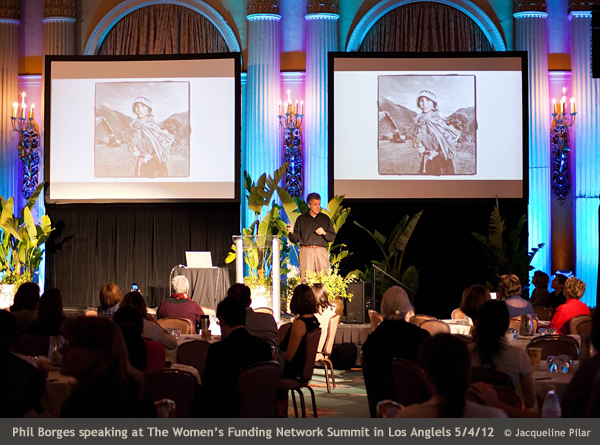 Last year in May, Phil Borges was a keynote speaker at the Women’s Funding Network‘s 2012 Summit: Women, Economics and Peace, in Los Angeles. We brought Phil’s exhibition: Stirring the Fire: a global movement towards gender neutrality to the conference to introduce the decision makers of over 200 global womens’ organizations to the most pressing issues of women in the third world. The response was overwhelming since all of the organizations were involved in part or all of the topics addressed. The exhibition is still traveling . Contact us : info@photokunst.com if you would like to exhibit Stirring the Fire in your community. At that very conference we were privileged to have a private preview of the documentary film Invisible War and meet the director and producer. The Invisible War has been a grassroots movement from the very beginning. At the heart of this film are the stories of hundreds of men and women who experienced military sexual assault. Many of them told us, that before this film, they felt like they were the only ones who had gone through this, and that they felt alone – but not anymore. With tireless support, this movie is a launching pad for a larger movement, working to change the US Armed Services’ “Zero Tolerance” policy from rhetoric to reality. 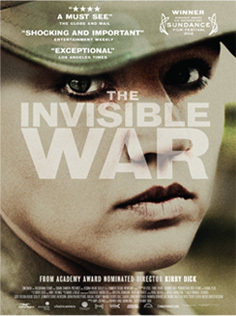 We are pleased to announce that The Invisible War has been nominated for an Academy Award. So, let’s keep our fingers crossed. This film has started a movement reaching to the highest levels of government.